Discussion in 'vBench (Works in Progress)' started by MarquisMini, Aug 9, 2008. 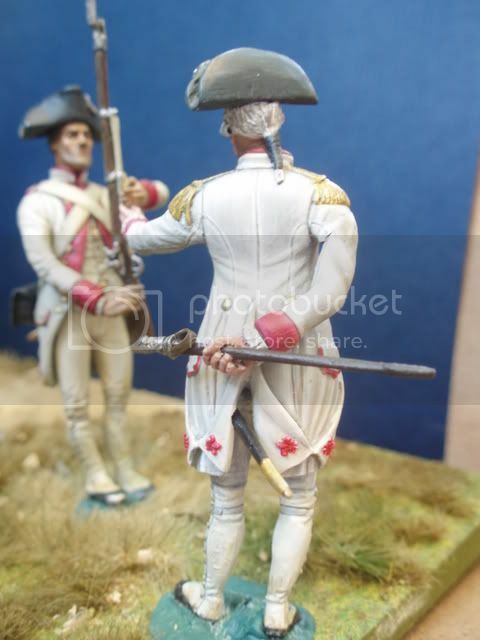 Here are some quick pics of the completed Soissonois Officer, now standing inspecting his troops. One more addition to the Yorktown diorama completed..only 25 or so to go. Comments always appreciated. Great figure and great painting! Your little army is really growing. Great! If you paint all your figures so good, this is will be an awesome diorama! Great painting Daniel. I look forward to seeing your next figure added to the scene. "All good things take time"
Looking forward to your next figure. Rocky,Marc,Pedro,guy and Lennart,thanks for ur kind words and thanx for taking the time to look and post. 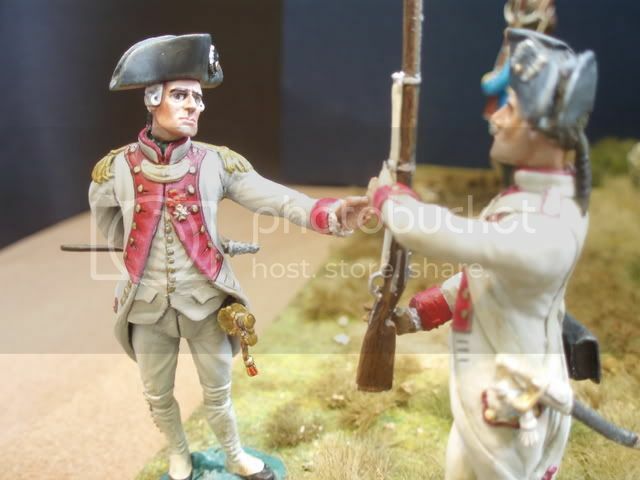 Great paintwork of the whites in this very nice diorama, my compliments! I've seen this figure in person, and the photos do not do it justice!! Painting of the lapels is especially impressive and finely done. Beautifully done Marquis! Trust me guys, this diorama is shaping up to be something really special.